The Star Curve wool area rug is from our limited edition and is One of a Kind. This gorgeous rug is inspired by traditional design pattern and has been meticulously hand woven by our skilled artisans in a perfect manner ever. The defined and intricate design of this pure New Zealand wool area rug is inspired by the art of Persia and mix with Kashmir craftsmanship in India. The bright appearance and soft and cosy touch feel of this rug make it stand in the category of square rugs. Beautiful motif design, quality material, reasonable prices and hand knotted craftsmanship make this wool rug an irresistible choice for our every customer. 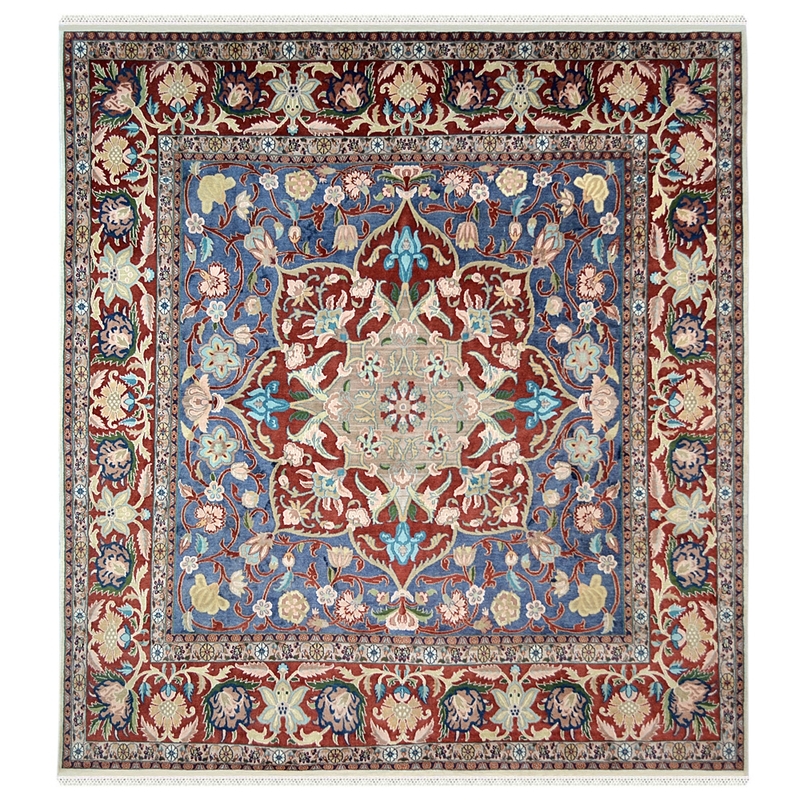 It contains Medallion kashan design pattern which is well known by carpet lovers. This design has been originated in 17th century.